TIME TRAVEL in the Bible? It sounds crazy — until you compare the visions of Ezekiel (Ezekiel 40-42) and John (Revelation 11). John was given a rod and told to measure the Temple; Ezekiel encountered a man with a rod in the process of measuring the Temple. Is it possible the two prophets actually met? 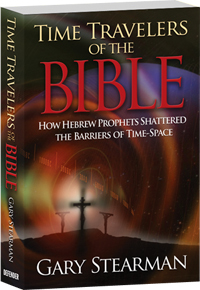 Gary Stearman, host for the last two decades of Prophecy in the News, discusses this and other fascinating examples he includes in his new book Time Travelers of the Bible: How Hebrew Prophets Shattered the Barriers of Time-Space. This interview from the Prophecy Summit at Branson is one of a series that will be posted over the next few weeks. 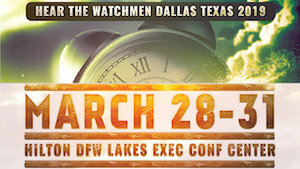 Upcoming guests include Russ Dizdar, Doug Woodward, and Chuck Missler. Another good interview. A very exciting subject that provides another way to share the Gospel with those outside the church. For those INSIDE the church… don’t expect a warm reception. I brought up the subject of Time Travelers in the bible to a Lifeway Facebook page… They kicked me off. well… in all fairness I also mentioned that the bible had dragons, Kryptonite Hair Scissors and a Nazi Melting Gold Box. …And maybe something about Zombies. Baptists… no sense of humor.